Islamic Emirate: Why International Community is Silent about the Tragedy of Pol-e-Charkhi Prison? Thousands of miserable prisoners in Pol-e-Charkhi prison are on hunger strike from past few days because of brutality and oppression continuing against them. The disclosure was made public when a message from the prisoners was published in media two days ago as hundreds of prisoners among hunger strikers have sewed their lips by threads and wires. There are reports that some prisoners are facing life risk because of hunger strike. The miserable prisoners have raised their oppressed voice in past as well but instead to give positive response to their legitimate demands, the invaders and the Kabul Administration have resorted to further brutal and inhuman conduct against them. Even, those prisoners whose detention period has already been completed are still kept in detention contrary to all human values. Moreover, one should not expect from invaders and the puppet Administration implementation of law and justice because they are not committed to any human and Islamic law or principles. From day one, when invaders have came to Afghanistan and installed a puppet regime in Kabul, they have committed tens of thousands of inhuman crimes which is an open secret to the entire world as broad day light. The finger of criticism could be pointed to those international, regional and domestic organizations, societies and NGOs who claim to be defenders and protectors of human rights and fighting against anti-human atrocities because they obtain money and assistance by the name of these oppressed people and have devoted their life to defend these blessed slogans. If someone read the message of Pol-e-Charkhi prisoners published in media, it contains plausible, rational and legitimate demands from the beginning to the end. None of the demand is contrary to law and rationale. 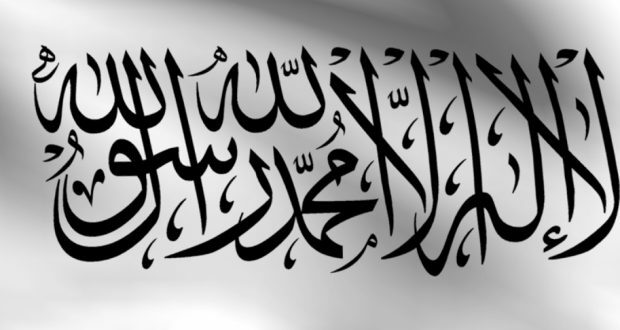 The Islamic Emirate of Afghanistan strongly demands the international, regional and domestic foundations, societies and organizations working for human rights especially for the rights of prisoners to fulfill their responsibility and obligation. They should come forward for the assistance of these miserable people. Furthermore, they should put pressure on the invaders and the puppet Administration through different channels to compel them to respect human rights and put an end to their oppression and brutality against miserable prisoners. Otherwise, if urgent measures are not taken, it would create a human tragedy. In that case all concerned sides would be equally responsible in this historical disgrace along with invaders and their surrogates and the stigma of disgrace would remain on their face because of this human tragedy.